So, I love working in coffee shops. Normally. I'm there right now, in fact. Doing pretty much nothing. 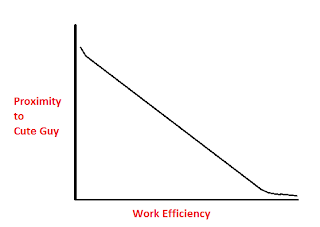 Except I made this handy graph to explain why I'm doing nothing. So, considering that the distraction in question is sitting about two to three feet away from me ... well, use your graph skills. And there's a totally random and useless bit of knowledge for you. Cheers. I swear, I'll have the Diary review up by tomorrow. Or Thursday. 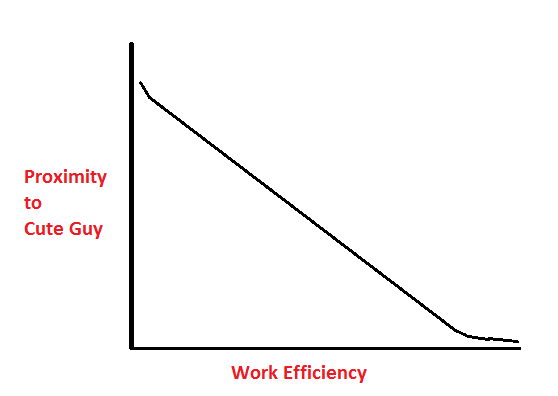 Love the graph - you have given me the germ of an idea. Have a great week! Oh, yay! Let me know how it goes. You too!